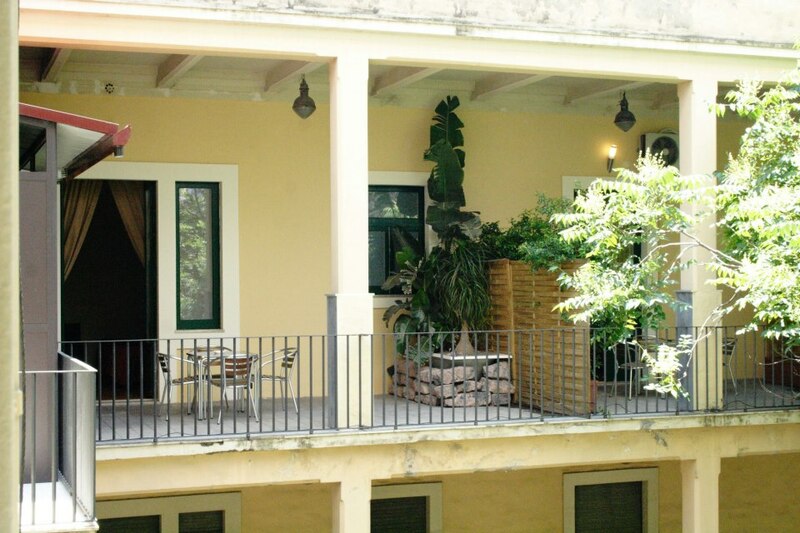 We welcome our guests in an elegant just renovated building of the first '900, in the center of Catania. 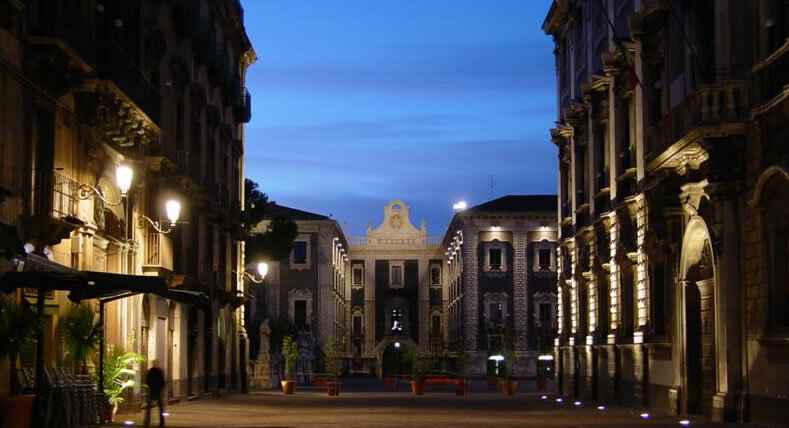 Come and discover the beautiful places of the city starting from our hotel. 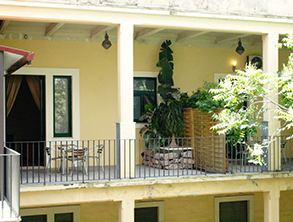 The traditional Sicilian hospitality will be offered in a very comfortable location, which stands out for its distinct and elegant design, spreading warmth and harmony in the surroundings. 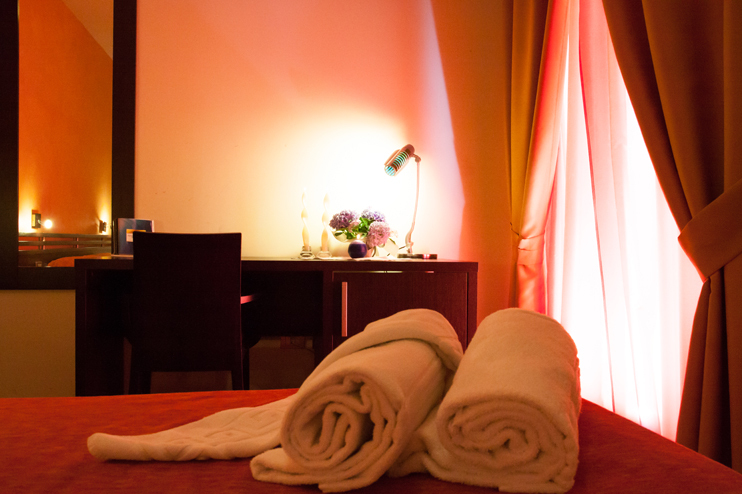 A great deal of attention is addressed to the guests ; the warmth and professionalism of the staff and a high-class environment will allow the guests to relax and spend their time to the fullest. 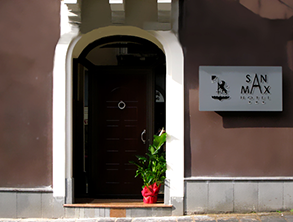 The three-star San Max Hotel consists of 19 elegant rooms and suites. 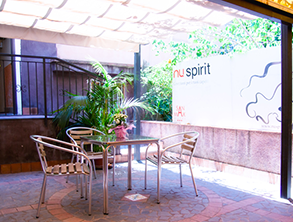 Our hotel has been honoured with noteworthy acknowledgements for the best price/quality ratio of the city from Booking as well as Trip Advisor. 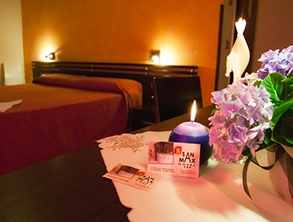 The San Max Hotel is characterized by the high quality offering made for the guests that everyday choose our company. 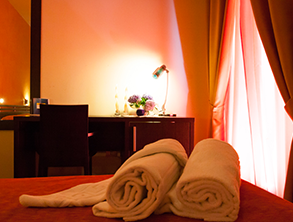 Every detail is designed to offer a relaxed, intimate atmosphere, calm moods and a friendly approach to a careful and efficient service. Everything is possible thanks to our nice coworkers. For this reason we are demanding and at the same time grateful to our staff, that supports us in achieving everyday this goal. Building on the main street. 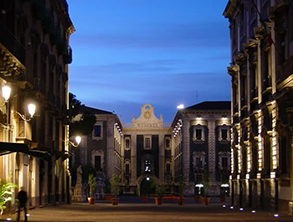 The only 3 -star hotel, in the historic centre of Catania , which provides to its guests indoor parking. 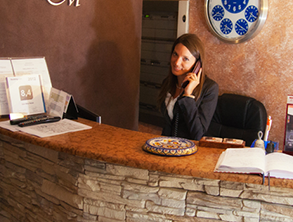 The Sicilian hospitality, a professional and kind staff and the best offers represent a guarantee for your stay. 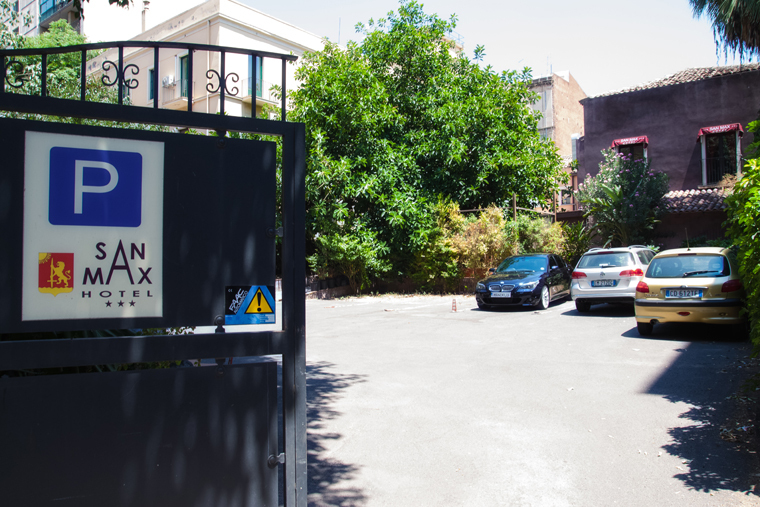 The staff of the reception will provide any information required and the most suitable suggestions for the organization of excursions to the most picturesque places of the tourist area. 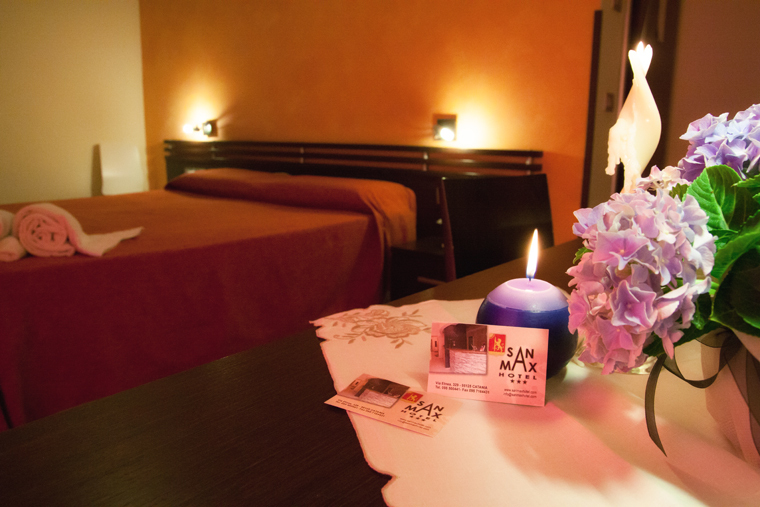 New specialities for everyone’s taste. 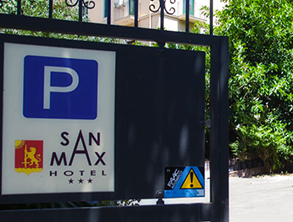 A day at the San Max Hotel always begins with a rich buffet. 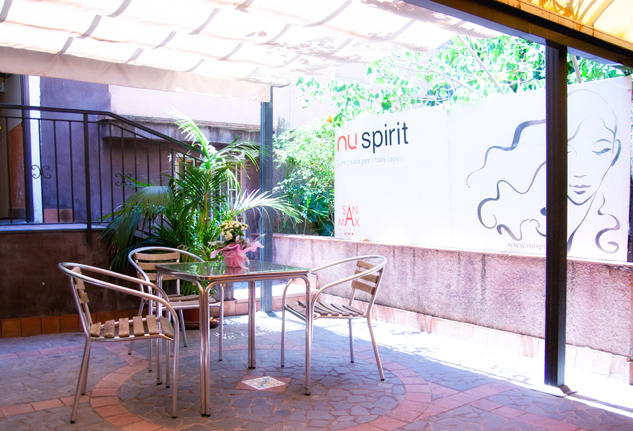 The Italian and International breakfast offers tasty pastries and bakery , hot beverages and juices , fruits , jams as well as a selection of Sicilian cheese and cold cuts. Do you have a question? Would you check the availability?